The 66-year-old played his hits to a packed out audience of 65,000 in Hyde Park. 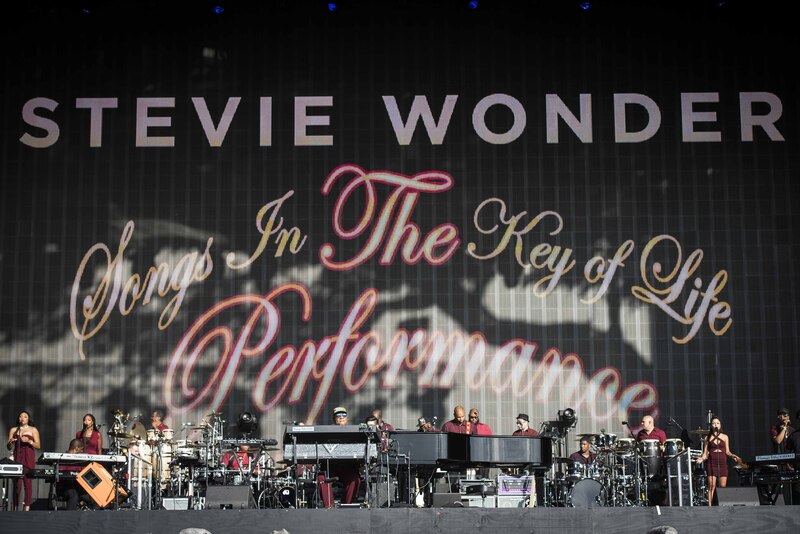 Stevie Wonder brought his iconic album 'Songs in the Key of Life' to Hyde Park last night as part of the British Summertime Festival. The 66-year-old musician played his hits for almost four hours including 'I Wish', 'Sir Duke', 'Isn't She Lovely' and of course an encore of 'Superstition'. Stevie opened the concert with a touching speech asking the audience to choose "peace over love". "In this troubled time, I want to say to al of you is that i love you all," the singer told the audience of 65,000 in Hyde Park. "What I'm hopeful about is that we can make a difference. And if you too fell that we can make a difference, I encourage you to choose love over hate." Stevie also spoke to the crowd about recent events in American saying that "all life does matter, but the reason that I say black lives matter is because we are the original people of this world. So in essence, everyone here has some black in you!" Stevie Wonder's set list from his Hyde Park gig. Other highlights from the gig included a tribute to his close friend Prince by playing recordings of 'Kiss' and 'When Doves Cry' before returning to a medley for his closing number – 'Part Time Lover,' 'Signed, Sealed, Delivered' and 'Superstition'. "I love you," Stevie said as he bid the audience farewell. "Maybe next year, we'll do it again. Are you with me on that?"